Dietary fat affects our health in a number of ways. Now, a study suggests that the risk for developing dementia later in life depends on the type of fat consumed. Researchers studied 6,183 women over age 65 and tracked their fat consumption and changes in their mental abilities over four years. After controlling for many health and socioeconomic factors, the scientists found that women who consumed the most saturated fat were 60% more likely than those consuming the least to report a decline in memory and abstract thinking. On the other hand, women who reported consuming the most monounsaturated fat (MUFA)were 44% less likely to report such a decline. Consumption of total fat, polyunsaturated fats (PUFA) and trans fats were not associated with any change. In other studies, polyunsaturated fats, which are found in fatty fish, flax seeds and grapeseed oil, have been shown to improve heart health among other benefits. “People might consider making changes or substitutions in their diet, switching out saturated fats in favor of monounsaturated fats,” said lead author, Dr. Olivia I. Okereke, an assistant professor of psychiatry at Harvard. 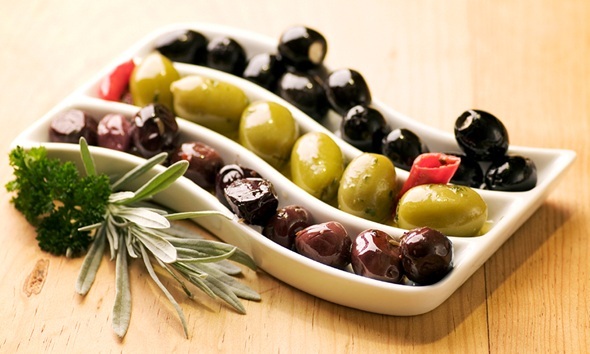 Monounsaturated fats are found in olives/ olive oil, nuts/ nut butters and avocados. Saturated fats are found in meats, coconut oil, butter and cream. This entry was posted in General, Heart Health, News Update, Nutrition and tagged brain, dementia, monounsaturated fats, MUFA, polyunsaturated fats, PUFA, saturated fats. Bookmark the permalink.